Her capture was orchestrated by the Ironwoods, the most powerful family in the Colonies. Nicholas Carter, handsome, young, prize master of a privateering ship, has been charged with retrieving and delivering her to the family, unharmed. Preparing herself for the most important performance of her short career, violin prodigy Etta wants nothing more than to make her mother proud and earn the praise of her instructor, once a renowned prodigy herself. Readying herself for an impromptu performance, Etta is thrust into an unknown world that is not her own. It's 1776 and she finds herself on board the Challenger, a ship boarded by pirates. Nicholas is a young man who has always dreamed of owning his own vessel, but due to the colour of his skin has never been afforded the opportunity. Saved from a live of slavery and servitude and now calls he ocean home. His latest cargo acquisition has Nicholas feeling uneasy, delivering Etta to his employer. But as the two form an tentative and socially impossible friendship, Etta's thoughts never stray far from home. Her mother is missing and Etta left behind a casualty of her capture, a life that she may never know again. In order to find her way home, she must find a lost relic in a past she knows nothing of and a family she never knew existed. Spanning eras and destinations, Etta and Nicholas are destined to be together but secrets will drive them apart. 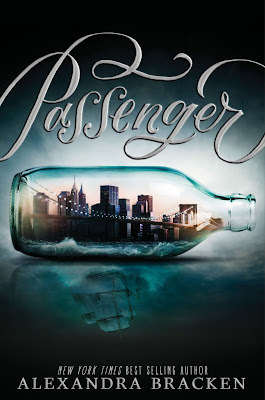 Passenger was a vividly imagined storyline with such depth and heart. From the modern day to the high seas of 1776, readers will find themselves consumed with Etta and Nicholas and what seems to be an impossible romance in more ways than one. There's one aspect of Alexandra Bracken's releases that you can rely on, it'll take you twice as long as any other book to read. It's not the page count, but rather how much is packed into one storyline to lure readers into her world. Readers are introduced to Etta and Nicholas almost within the same breath. Etta is thrown into his world upon the Challenger and it soon becomes apparent that she's not on board of her own free will. Her mother is missing and she leaves behind her violin instructor, a woman she cares more of the welfare of than her own mother. On paper, Etta is your typical young adult heroine but imagined, she's so much more. She's strong, feisty and adaptable which doesn't sit well with her new peers upon the ship. But unfortunately she's also not all that likable. Nicholas is a young man that pines for freedom. Bought by the ships captain and rescued from a life of slavery, the colour of his skin within the era means he'll always be the target of prejudice. Sailing is all he's ever known. I felt for Nicholas, he was confident in his abilities but doesn't seem to have the fight against his oppressors. Until Etta shows him compassion. The voyage to New York City where Etta is to be delivered to his employer was slowly paced and often lulled in places. It took quite a few chapters for me to immerse myself and I was tempted to skim ahead. Once Etta and Nicholas struck up a tentative friendship, the storyline flowed but unfortunately a little on the side of being dull. Sophia is responsible for the position Etta finds herself in. She shares a connection to Nicholas, but is headstrong and determined to work her way into a position of power despite the oppression of woman and people of colour during her time. I loved the diversity. It wasn't added as an afterthought but felt as though it had been well researched and true not only to the era, but also the character development. That feeling of being worthless and knowing that even determination seems hopeless. To hope, to dream of a life that is free from prejudice. Etta introduces both Nicholas and Sophia to the concept of equality for women and people of colour, a future neither character could have imagined. The forbidden romance was barely there at times, but still lovely in places, but sadly I didn't feel a genuine connection between the two. He would not surrender to the disaster of loving her. What surprised me most was how lyrical the writing was in bursts, especially from Nicholas' point of view. It added a romanticism and softness to a storyline that needed a warmth and likability. The first half felt slightly underwhelming, too much information squeezed into a storyline that offered very little fanfare, but then slowly the action adventure starts to emerge. The real challenge for readers will be to read through the initial storyline to find the crux of the action. 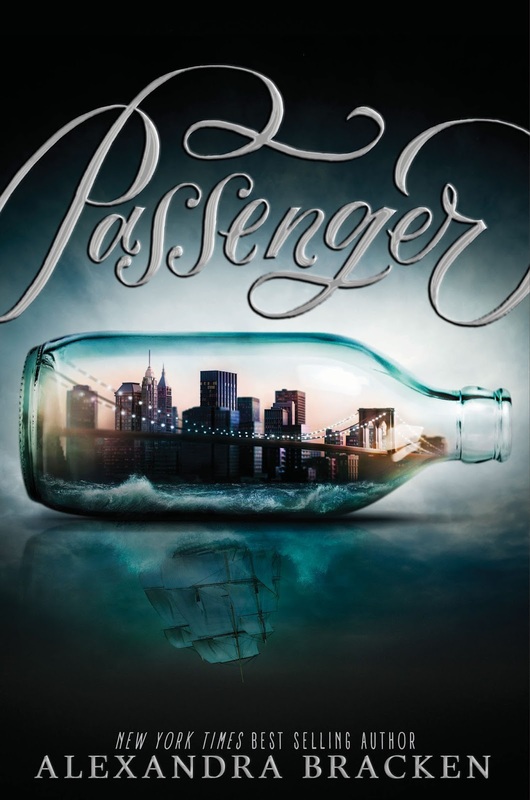 Although drawn out in the beginning, Passenger feels a true to the era historical science fiction based on time travel elements. Feisty female characters with a mutual respect for one another, seeking power and freedom from the oppression of 1776. A cast of diverse characters who are multilayered, but unfortunately disconnected. I couldn't grasp the connection as to why Etta was explored as a music prodigy only to go on a time travelling adventure. It felt unnecessarily drawn out and the storyline could have been condensed into an exciting read, that has sadly fell a little short despite the hype. Oooh, I love lyrical writing! This one had so much hype last year, and I think some people were disappointed by it. I have yet to pick it up though, but I hope that I can read it soon. Great review! The writing was really lovely Kim, but sadly the storyline dragged on a bit too long and I started to lose interest. Luckily the second half was much better. Looking forward to seeing what you think of it. I thought the beginning was very drawn out too. I had a really tough time connecting with the story and the characters as a result. :( I so wanted to love it though because I liked Bracken's other series. I agree that it could easily have been shortened to make for a more engaging read. I'm glad you still liked it overall though. Hopefully, the sequel will be much stronger! Thanks Nick. I loved The Darkest Minds series too, but this didn't have that same magic sadly. It just seemed like so much filler, but I'm glad the second half as a bit more eventful. I'm still undecided about book two, if the first one dragged on, typically the second in a series wouldn't fare any better. Fingers crossed it's more condensed and engaging though. I hope you have a little more luck with it than I did Sarah, looking forward to seeing what you think of it. I don't know. I felt disillusioned with her first series that I haven't really been all that enthused with any of her releases. Sigh. I think she's one of those authors that it can take some getting used to her style of writing as well. It's lyrical in bursts, but her books are always really lengthy and take ages to get through. I don't know if it's unnecessarily wordy or just overly descriptive. I loved her first series, but this fell flat with me. Thanks Zoe. Yeah, it was just a bit too long and wordy and I lost interest too. If it had of been condensed and a little more action packed it would have been an awesome read, but just fell short. Thanks for sharing! I don't know if this would keep my interest or not, but it IS an intriguing premise, I have to say. Is it Lauren, but if you like lyrical and lengthy reads, it probably would. It was just a bit too long and the storyline stretched thin sadly. It was soooo drawn out, wasn't it? That's what annoyed me most about this book. I gave it the same rating. I was really enjoying it by the end of the book (enough to pick up the next one!) but what really stopped me from rating it higher was the tough time I had with the first half. I really struggled with it too unfortunately. The first half just felt unnecessarily wordy. I'm undecided whether or not I'll be reading book two, I think if it's as long or longer than this one I'll probably pass. The premise was awesome though, just fell a little flat. The Darkest Minds is a brilliant series Lola. The books are all pretty lengthy but so well written and really engaging too. This one unfortunately not so much. It was far too slow to start, so by the time the adventure aspects began, I just couldn't care enough about the characters at that point. You may have more luck then I did though. Definitely give The Darkest Minds a read, I think you'll really enjoy that one. Yes I agree! I haven't read the finished copy so I don't know what exactly was changed, but I felt that the story was so drawn out. To be honest, I liked learning about Etta's skill with the violin since I like music, but I have to agree that the beginning was still way too long. Are you going to be reading the next book, or nah? I'm still pretty undecided to be honest. I think I'll see how long it is first. Because this was so long and drawn out, I'm not sure another lengthy read will have me investing in any of the characters again sadly. Hubby's Review: Steelheart... It's Awesome!